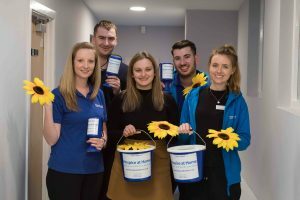 Throughout the Clinical Services Area, many local businesses and organisations support the charity by having a collecting box at their till point or counter. 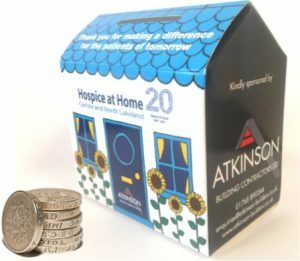 Individuals also have collecting boxes at home to collate their loose change, which they then kindly donate to the charity. If they are a UK Taxpayer we can also claim Gift Aid on individuals’ collections. If you would like a collecting box please call 01768 210719. The box will be delivered by a Hospice at Home representative and can be collected upon request when full. Alternatively boxes can be collected from our Carlisle or Penrith Shops, with prior arrangement. Collecting boxes are a vital source of income for the charity and also help us to raise important awareness of the organisation.